Loyola College makes available a wide range of activities beyond the formal hours and courses of study. 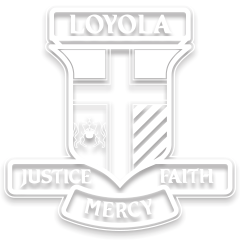 The Co-Curriculum Program is a significant part of an education at Loyola, as an Ignatian school focusing on the education of the whole person. Each activity falls broadly into one of five areas – Service and Spirituality, Clubs and Societies, Performing Arts, Public Speaking and Debating, Sports and Outdoor Activities. Student options include music, sport, public speaking, debating, chess, drama, St Vincent de Paul, Refugee tutoring and the Loyola Sustainability club to name a few. The Sport Program is an integral part of the Co-Curriculum at Loyola College. All students in year 7-11 participate in sporting programs once a week either by representing the school in Associated Co-educational Schools (ACS) Sporting competitions or our intra school LCS program. Year 12 students are also able to participate. Students are also able to compete in the three squad teams- Swimming, Athletics and Cross Country at ACS level. There is a well-developed House Shield Competition in place within the College. Students are allocated to a House which serves as both a pastoral unit as well as an important vehicle for co-curricular activities. House activities include: Swimming, Athletics, Cross Country, Lunchtime Sport, Chess, Debating, Public Speaking and House Eisteddfod. Houses compete for House Shield points in each of these events. Being involved in co-curricular activities is a vital part of a Loyola education and it is expected that all students in Years 7 – 12 will involve themselves in some aspect of school life outside the classroom during the year. The aim is to get the balance between classroom and co-curricular commitments correct for the individual. Click here to view the 2017 Co-Curriculum handbook.